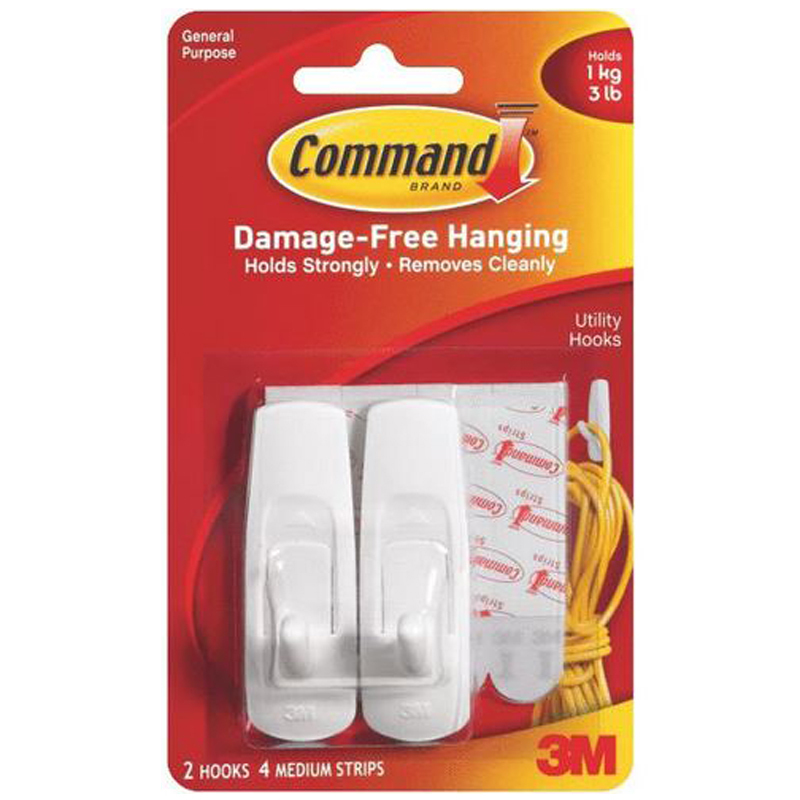 Reusable utility hooks with Command adhesive. Holds firmly until you want to take it down. Easy to apply. Easy-to-remove. Adhesive releases cleanly, without damaging walls or leaving behind any sticky residue. To reuse, just buy the appropriate replacement strip and repeat application. Refer to Model No. 17200 (SKU 617164) for Command adhesive replacement strips.